Thanks to poor ventilation in public toilets across India, country’s faecal matter has the highest levels of sewage smell. This has been said in a study published in journal SciDev.Net. According to the paper that was published last month, latrine sludge from Kenya, Uganda and South Africa was also tested for the study. With 60 per cent people involved in open defecation, India is the world’s capital of open defecation. The research states that it is the malodour that discourages people from using public toilets. Meanwhile, Firmenich—a Swiss perfume-maker company—has developed a tool to overcome existing malodour. A team from the perfume giant, better known for applying aroma expertise to perfumes and food, has developed a procedure to quantify six major faecal aroma chemicals at the same time in toilet air. The paper states the objective of the research is to develop a perfume to mask smell and encourage toilet use. Speaking to SciDev.Net, Clara Rudholm, a programme officer at the Global Sanitation Fund in Geneva, says this study is useful, but stresses the importance of supporting behaviour change in local communities too. According to the paper, the scientists were unable to collect a fully representative toilet smell using the first method they tried: holding a polymer-coated needle above the sludge to absorb odourant chemicals. Specifically, this technique could not capture sulphur-containing gases. “What you smell in the toilet is the air not the sludge,” Starkenmann says. The team designed a system that pumps air from above the latrine through a water-based solution that traps sulphur-containing gases. Other odourant compounds also get dissolved in the water. The scientists then ran the water through two extraction steps that collected all the odourants. They then got 40 Firmenich experts to smell and describe the odour intensities, with descriptions including “vomit” and “barnyard”, against odourant concentration. “Nobody quantitatively linked intensity and concentration measured before,” Starkenmann says. The team found that Indian toilets had lot of sulphur gas. “There’s more anaerobic fermentation that causes a lot of this eggy, sewage odour,” Starkenmannadds. The improved ventilation in the African pit latrines reduced this problem. The study results are helpful because improving the smell of toilets means more people will use them, says Clara Rudholm, a programme officer for the Global Sanitation Fund at the Water Supply and Sanitation Collaborative Council in Switzerland. But beyond the business-led toilet model that Firmenich envisions, Rudholm says that community-led models could also be effective. 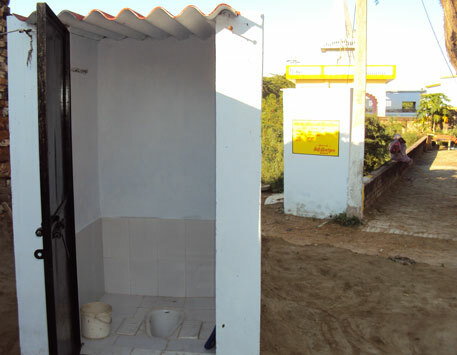 “People enabled to build and use well-ventilated toilets are likely to keep them clean, well-maintained and odour-free,” she says.